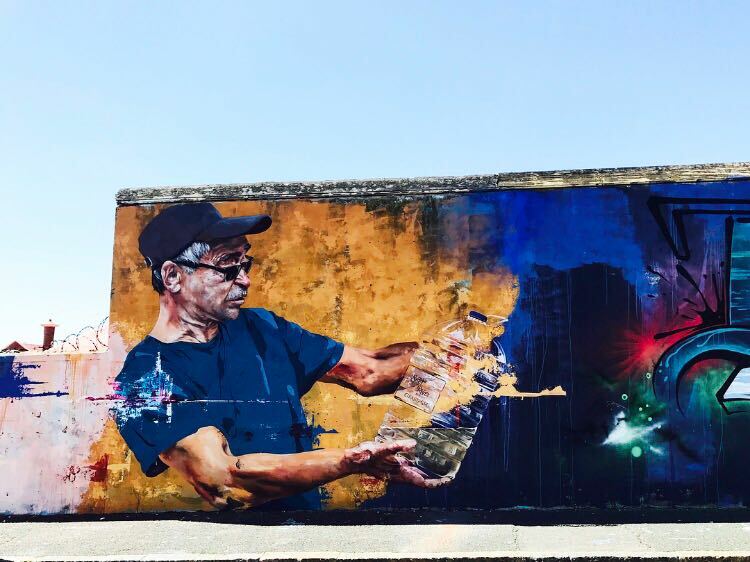 BAZ-ART features Spear, a globe-trotting muralist from Brussels who has been painting from 2002 in countries such as Argentina, Brazil, Chile, Colombia, Ecuador, Peru, Bolivia, Costa Rica, Belize, Mexico, Cuba and European cities such as Paris, Berlin, London and Brussels. He uses his unique ability to capture emotion as a means to convey deep concerns about real human issues. He has recently had an exhibition in Brussels titled “The Invisibles” which address homelessness in the most empathetic ways. He is particularly gifted in portraits and calligraphy which his signature style is largely based on. His project the “invincibles” brings light to the mutli-faceted nature of the societal issue concerning homelessness. He unfolds the causes that leads up to being subjected to life on the streets and illuminates the challenges of the everyday life that vagrants are faced with. He uses the power of public art to convey deep expressions and create empathy by passersby for fellow humans subjected to homelessness. The underlying idea is that when one sees something repeatedly, one starts thinking about it which then leads to action. For the International Public Art Festival he collaborated on a 80m long masterpiece with Linus, Page33 and Zesta. The quartet, all from very different backgrounds came together in perfect harmony producing one of the most conversational murals for this year’s festival. Their attention to composition indeed paid off and can be observed through their witty yet relatable showpiece. 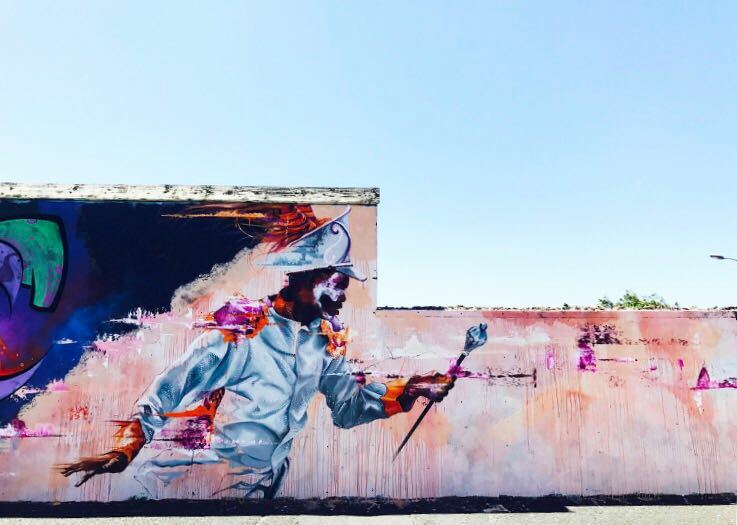 Their showpiece illustrated local Cape Minstrels from the Salt River community being subjected to dire water restriction alongside the strict graffiti by laws Cape Town faces.